I read a news article this week about a tragic accident in which a young female jogger was killed. She was jogging across a road and was hit by a speeding vehicle that then sped off. 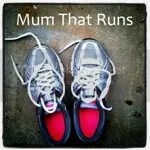 This tragic story reminded me about how important road safety is when running. When we’re running along the road we can’t always depend on the vigilance of other pedestrians and drivers. It got me thinking about things that we can do to stay safe while we’re jogging or running along the roads. I myself have never run with earphones. I’m not sure why, possible because I was running from a very young age and I enjoy getting lost in my thoughts. For others however the music beats the boredom of the run or helps to keep a rhythm. Listening to headphones does take away our sense of hearing, vital when listening out for traffic. So maybe when you’re wearing headphones, just be a bit more vigilant when crossing roads. A few years ago in Cardiff, there were some incidences of female joggers being attacked while running around a local park, popular with runners. Police at the time encouraged women to try and change the course they run regularly, maybe in the belief that attackers tend to watch runners and work out their regular paths. Scary to think that but it is good to change route from time to time. A bit obvious, but if you’re running at night try to keep to well lit areas and wear your high visibility gear. Maybe get a group of you together to run in the evenings if you don’t like running at night by yourself. Leading on from the point above, running in a group can be a great idea if you’re not keen to run alone. If you have some like minded friends, get together with them or find a running club to join. The bonus is that running becomes a social occasion too! Check out Runner\’s Web for a list of running clubs or Women\’s Running to find running buddies in your area. These are just some brief ideas on staying safe that I have learned over the years I’ve been running. They haven’t stopped me enjoying running but it’s always good to keep safety in ind when you’re out on the roads. If anyone has any other ideas on staying safe while running or exercising please please leave a comment. I’d love to hear your thoughts. This entry was posted in Uncategorized and tagged runners web, running, safety, women's running on June 15, 2011 by kathleen.